Ring Out The Old, Ring In... On Second Thoughts, Don't Bother! Something changed this year. Okay, outside our firmly barred and bolted thick oak fantasy doors, a lot of things changed but the less said about most of that the better. No, I'm referring to my own decreasing interest and desire for novelty in gaming. While various wise and respected commentators stroke their beards over the paucity of new MMORPGs in production and the supposed moribundity of the genre, I find myself surprisingly sanguine over the admittedly thin, not to say threadbare, coat the New Year's wearing. In the last few months I have spent almost all of my leisure time playing just two MMORPGs: Guild Wars 2 and EverQuest 2. Not only are those games five and thirteen years old respectively but they are each sequels to older games- games that are both still up and running. 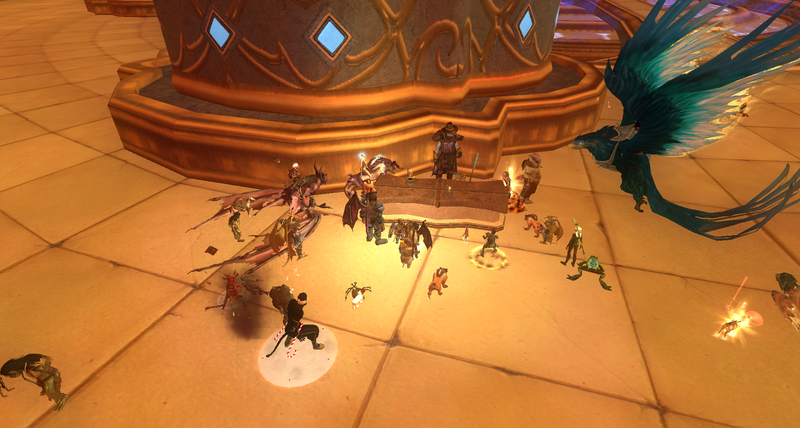 Guild Wars may be in mothball mode but it's still there and people still play it. I played it in preparation for Path of Flames and I ran into a few others while I was there. I even saw tickers scrolling across the screen announcing the results of PvP matches so I guess someone still cares. 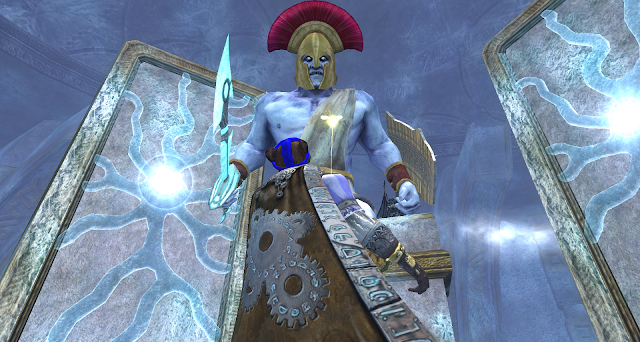 EverQuest, a good few years GW's senior, is far from entering maintenance mode. As Wilhelm observed with satisfaction, the old game got yet another expansion this year. Moreover, as he says, "Somebody must be buying the $140 versions of those expansions if they keep offering them." But then, "maintenance mode" is itself becoming both a viable business model and playstyle. Someone recently wondered whether Funcom has any MMOs that aren't in maintenance mode. It does seem the company fortunes have improved since they stopped even pretending to produce new content and began concentrating on simply polishing up and repackaging the old. Square Enix restarted FFXIV after it failed and that seems to have worked well for them. But then, as a company, they seem to have only the vaguest understanding of the concept of "stopping": FFXIV's predecessor, FFXI, is famously more active in supposed maintenance than many triple-A MMOs were at the peak of their success. It goes on. Until NCSoft discovered the mountain of money that is Mobile gaming, its biggest earner was the near-two-decade old Lineage. That corner was finally turned not by Lineage's successor, the inevitable Lineage2, itself still bringing in the dollars, but by yet another Lineage, or rather two of them - LineageM and Lineage Revolution. If it's not sequels or revamps it's versions. Blizzard's biggest reveal of the year wasn't the next WoW expansion. It was the news that they'd thrown in the towel and started work on bringing back Vanilla. They were probably swayed not only by the continuing interest in illegal time-travel via the Emu scene but also by Jagex's joyous capering under the the money-hose that is Old School Runescape. Two decades and counting since the beginning of the MMORPG revolution and the huge majority of all the MMORPGs ever made are still running. It's news when one closes because it's so unusual. When Brad McQuaid, John Smedley et al cooked up EQ they were hoping it might last three years. Modern developers think bigger. And longer. GW2 was designed with a ten-year lifecycle in mind and ArenaNet have said they have no plans to make any other new games. That will change, eventually, but when it does, what do you think the new game might be called? 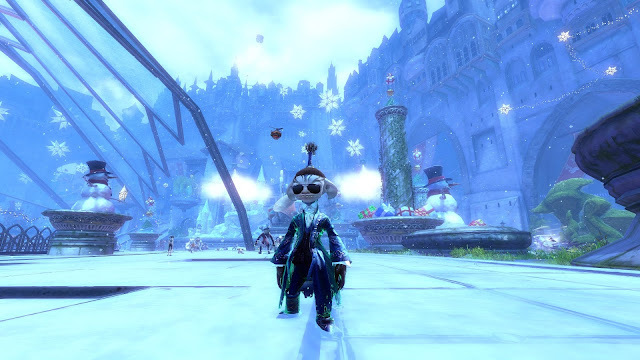 I have actually finished the PoP Signature questline, I just haven't had the time to post about it. It was a lot better than the Path of Fire Story, that's for sure. Indeed, once you have a successful MMO up and running, the need to come up with new ideas becomes significantly less pressing. Production of The Elder Scrolls series has effectively gone on hiatus with the success of TESO, for example. CCP, the one major development team that really relishes the maverick tag, marked the exception to the rule with their advertisement for people to work on "a new and highly ambitious MMO" but then they've said that before, haven't they. And did it happen? Did it heck as like! Mostly, for developers and players alike, the launch (or Early Access or Open Beta or Give Us Some Money And We'll Describe It For You) of an MMORPG is the beginning of a brave new world of updates, expansions and occasional graphical overhauls. The ship keeps on sailing, the scenery passes by, we dock at the occasional port, the band keeps on playing and we all keep on dancing. And I like it. It suits me. I'm happy here in the happy house. Oh, it's partly the season, I'll admit. The season and the weather. Short days, dark nights, rain, snow, warm socks and a comfy jumper. A night in with a mug of hot something and the familiar sights and sounds of 2012 - or 2007 or 2004 even 1999 - all bigger, brighter and less trouble than I remember. Come the spring I may be yearning again for something fresh and new. As the leaves green and the sun brightens I could be back here, pounding out a thousand words wondering where all the new worlds have gone. I'll deal with that when it happens. For now I'm quite content. Let this year roll over into next. I'll stay where I am, which is pretty much the same place I was last year. And the year before that. 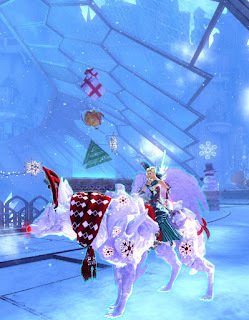 Happy New MMORPG Year and let's have another one just like it. Please and thank you. One thing I'm really feeling the lack of in my MMORPG diet these days is crafting. Tradeskills, if you prefer. It's historically ironic because there was a time, back around the turn of the century, when I positively seethed at the very existence of crafting in my virtual worlds. Back then I had some very specific and, looking back, bizarre ideas about what MMORPGs were supposed to be. I came to the genre looking for a kind of always-on version of the tabletop rpgs I played for much of the 1980s. I imagined the computer as a species of tireless, patient, selfless G.M., handling the ruleset and setting out the miniatures and maps, while the magical internet would provide an endless supply of willing players to make up my surrogate gaming group. Things did turn out something along those lines. When it came to adventuring, EverQuest and the rest of the early offerings managed to look at least a little like the gaming sessions I remembered from the eighties. There were goblins and orcs and dragons, for sure. We whacked them with swords or fried them with fireballs. We had hit points and armor with stats and we talked to NPCs to get ideas about where to go and what to do and then we took a long time getting there and argued with each other as we traveled. So far, so familiar. But then there was all this other stuff. An economy, for a start. I found myself bartering with other players for things I needed. What's more, if I wanted anything specific I had to spend half a session traveling across the world to some kind of souk, where I was expected to stand around for hours listening to people hawking their wares. An entire Sunday's gaming might consist of nothing more than an extremely risky cross-country trip followed by three hours of reading a jumble of text scrolling up the screen, just so I could come away with a new sword that was just ever-so-slightly better than the one I started with. It was exciting to do once or twice but as as far as fantasy wish-fulfillment went it seemed an awfully long way from dragon-slaying. I developed a strong antipathy to the very existence of player-run economies in MMORPGs and for several years I believed that all in-game economic activity should be restricted wholly and entirely to player-NPC transactions. I felt almost as strongly about crafting. It was an alien concept to me. My tabletop group never once in five years of Sundays crafted anything. We played a lot of different RPG systems - AD&D, Swordbearer, Dragonquest, Golden Heroes, Paranoia, Call of Cthulhu and at least three rulesets devised by members of the group - but I don't recall any of them even having rules for crafting, let alone anything in the games relying on make-do and mend. The most I ever recall us doing would have been to take something to an NPC and come back a week later to pick up whatever we'd had him make for us. The idea that we'd sit down at two in the afternoon and spend three hours knitting chainmail, driving studs into leather or scribing spells into a book would rightly have been treated with derision. We had dungeons to delve and mysteries to solve! Progression servers - the one place crafting still really matters. Cut to EQ. Even now, the best part of twenty years later, I remember the afternoon I spent negotiating with a tailor to craft a set of studded leather armor for my druid. I remember haggling over the price, traveling to a meeting point, hanging around waiting for him to craft the stuff, opening the trade window and handing over most of my savings. I also remember that I did it because, even though it took a couple of hours out of my adventuring schedule, to have made it myself would have taken me days. The entire process was time-consuming and laborious. You had to kill animals to get the skins and they didn't always drop the right skins and you couldn't easily find the right animals. You had to buy basics from NPCs and they weren't always in the same place as the devices you needed to use to make stuff (although at least as a tailor you could carry your sewing kit with you). Even when you had all the stuff it wasn't just a matter of clicking a button and the thing magically appearing in your bag. You had to have the skill and you got the skill by making stuff and you could fail to make stuff. You often failed and when you failed you lost the mats and had to get more. The worse you were the more likely it was to happen. You began bad and you got worse before you got better. And yet you had to do it - or pay someone to do it for you. In those days crafted gear was often not just the best you were likely to get - it was all you were likely to get. 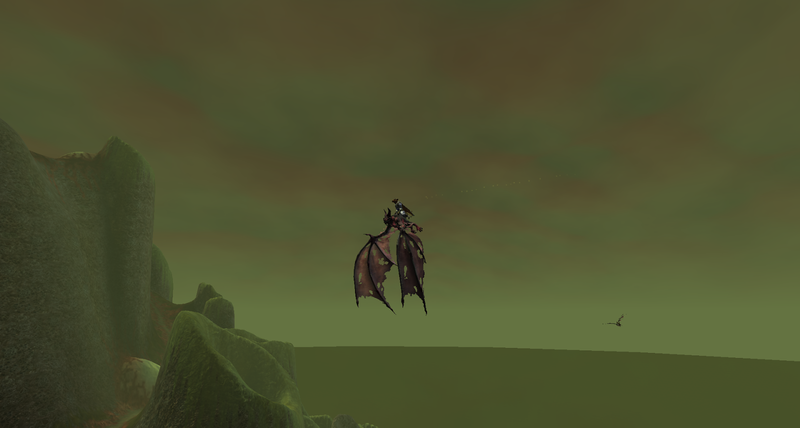 It was bad enough in EQ but DAOC took it to the next level. That's where I learned to loathe tradeskills. For some years my ideal MMORPG would have had no player economy whatsoever and if it had tradeskills they would have been purely for fun. Dropped or quested gear would in every case be superior to all crafted gear of equivalent level and much easier to get. At a push, maybe, crafters could make gimmicks, like tinkers.That would just about be acceptable, provided no-one actually needed anything they made for anything important. And then, somehow, over the years, all that changed. The arrival of the Broker system with EQ's Shadows of Luclin expansion (actually about six months after, which is how long it took SoE to get it working) changed my entire belief system on economies. My time in EQ from SoL through Planes of Power and up to somewhere around Depths of Darkhollow could be accurately characterized as The Dumpster Diving Years. I probably spent - literally and without exaggeration - more time trawling through NPCs' resale stock for items to put on the broker at vastly inflated prices than I did adventuring. 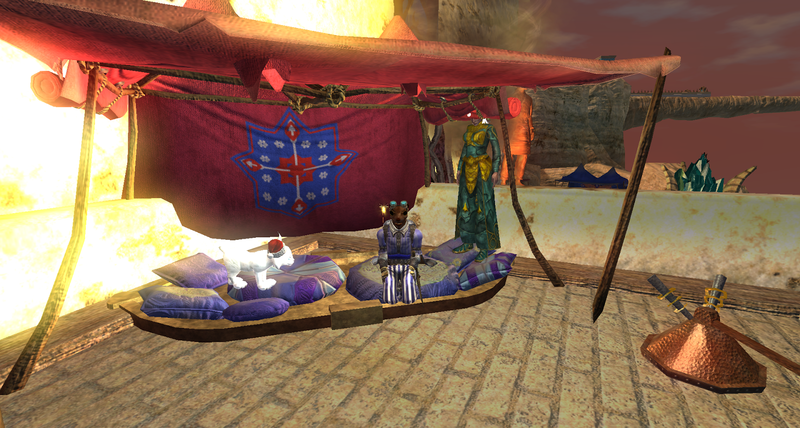 Meanwhile EQ2 and then, especially, Vanguard turned me into a crafter. 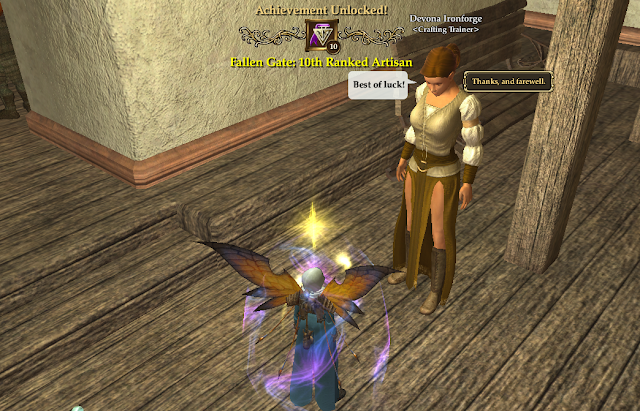 I took up Provisioning at the start of EQ2 because it required the least effort. It was a useless craft at launch but once the devs actually added stats to food and drink I began to make made a good deal of money out of it. And I enjoyed it. 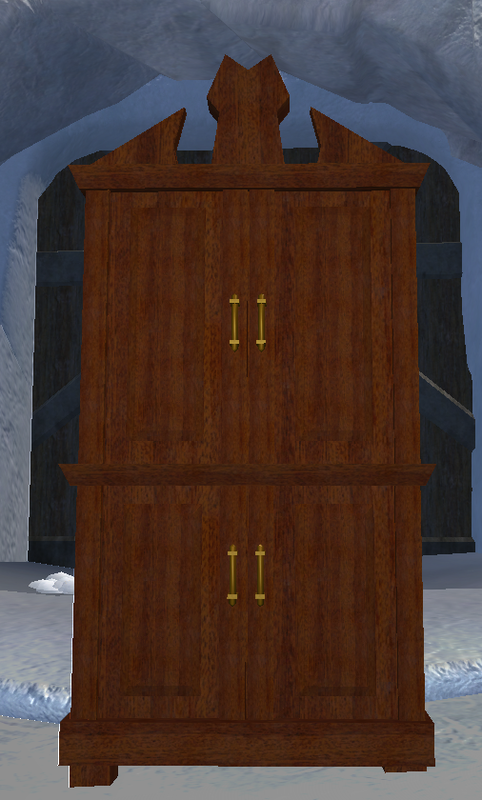 Crafting in EQ2 was a lot more active than in EQ. Although EQ crafting involved considerably more than just pressing a key and watching a progress bar, most of that was in the prep work. When it came to the moment it was just that - a moment. Not really what you'd call a "crafting station"
In EQ2 you had to stay with the process from start to finish, nudging the machine along, playing progress against durability, fixing problems as they arose. You could even die if you got it wrong at a dangerous device like the Forge. It felt involving, active, entertaining. time I felt as engaged by tradeskills as by adventuring. There were quests and factions and discoveries and the process itself was challenging and satisfying. It's still by some considerable margin the best implementation of crafting I've seen in an MMORPG. I miss it a lot. Coming out of the end of Vanguard I ran straight into Domino's dominance of EQ2's crafting scene, a period when the whole tradeskill aspect of the game flourished and grew beyond anything I, or probably most players, had ever imagined. The end result was that I became a convert to crafting and you know how zealous and evangelistic converts can be. For the last five years all I've really had to work with has been Guild Wars 2's dry tinder. The first few weeks after launch were exciting. I returned to my provisioning roots and took up Cooking. What do you mean, "pothead"? 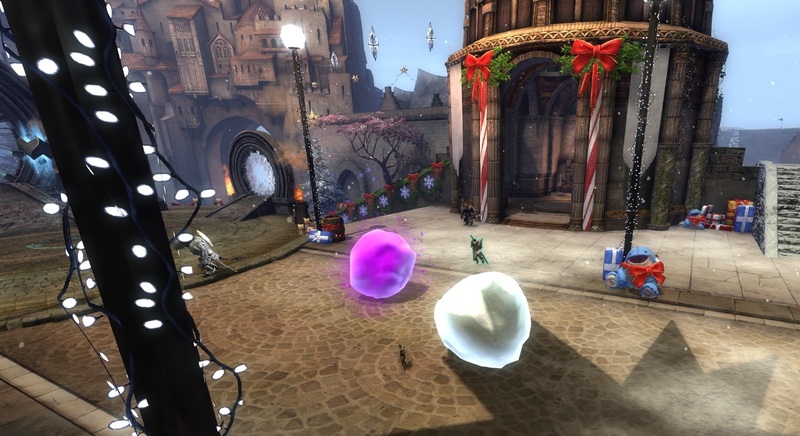 One way that GW2 tried to make crafting engaging was by dint of Discovery. You can follow recipes or you can just combine various ingredients and hope for the best. All crafts allow some discovery but Cooking runs entirely on random combines out of which you can learn to discern patterns. That was fun for a while but soon there were lists online of every possible combination. I had the willpower not to read them but just knowing they existed took some of the purpose out of the process. As the years rolled on, the GW2 developers ceased even to pay lip service to creativity in crafting. The focus moved from discovery to grind, from quality to quantity. You needed to make a lot of things and the things needed a lot of mats. After a while crafting ceased even to be a craft. Many of the combines for anything worth having moved from crafting stations to The Mystic Forge and, lo and behold, there we were, back at my own original understanding of the concept of "crafting" in Adventureland. 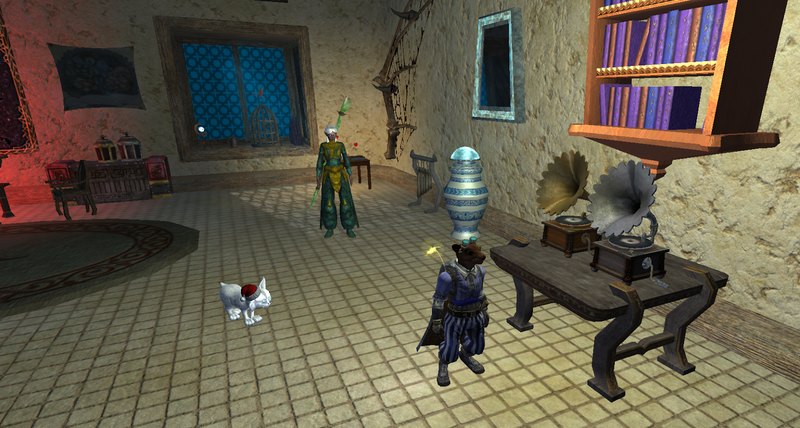 In the modern conception of crafting in Tyria you collect a bunch of stuff and give it to an NPC, in this case the Genie Zommoros, who lives somewhere on the other side of the Mystic Forge. He then magically, flawlessly and instantaneously converts what you give him into the thing you want. And that's crafting. I thought about this last night when Mrs Bhagpuss showed me the astonishing and astonishingly ridiculous Eggnog Helmet she'd just made. When I finish this post I'm going to log in and "craft" one for myself. It should take me about two minutes and most of that will be traveling from the bank to the forge. It's a very, very far cry from anything I'd call real crafting. Fortunately, I do have a fix on the way. The missing tradeskill Signature line that wasn't ready in time for EQ2's Planes of Prophecy expansion is due sometime in the New Year. Let's hope it's a good one At worst it'll be another ten levels of Weaponsmithing and Scribing and that's not nothing. A couple of weeks ago I was pondering what to do for a New Year's post. Annual reviews and predictions were already beginning to pop up across the blogosphere. People seemed keen to get started on looking back. I enjoy reading those kind of posts but my memory is so unreliable I can barely recall what happened last week let alone twelve months ago so the thought of composing a retrospective of my own fills me with dread. Then I had an idea. If there's one thing I associate with the turning of the year more than any other it's music. I think it's a legacy of Eighties' partying combined with decades of New Year's Eve music specials on TV, from Jools Holland's inevitable Hootenanny to Darlene Love on Letterman. Okay, that's Christmas but I have a habit of watching it on YouTube at New Year's. We never got the Letterman Show on broadcast T.V. in the U.K., more's the pity. Anyway, it occurred to me that the three constants throughout the lifetime of this blog have been MMORPGs, screenshots and music. When I started this thing back in 2011 I had the idea I'd include a song and a link to an audio file in every post. That turned out to be a straightjacket that didn't fit so I shrugged it off but I still try to shoehorn in as many musical references as I can manage. This year, like every year, I've used a lot of song titles and snatches of lyrics as titles for posts. I always hope someone will comment and occasionally someone does but mostly I have to take it on trust that the pitch is landing. So I thought how about dragging the whole thing into the light for a New Year's post. I have a YouTube channel, after all, even though I don't make much use of it. I've never made a playlist but how hard could it be? Not at all. The hardest part was choosing the versions. I'd always rather link to a live performance or a video than a static image but sometimes there wasn't a live version that did the song in question justice. The first one is a still image, unfortunately, but I did them in the chronological order of the posts. In the end I was left with forty-two songs and here they are. It makes for an incoherent playlist and there's way too much old stuff on there for my liking. My tastes these days run far more to music made in the last decade or two than this playlist suggests but the unfortunate fact is that, when I rack my brain for titles and quotes to run at the top of a post, it's the ones that got burned into my brain when I was younger that pop to the surface most readily. Regardless, it is what it is and I stand by everything on this list. Yes, even Kylie. There's a full listing, in order, below and the little widget on the top left of the YouTube panel opens a drop-down so you can select anything you fancy. If you just let the whole playlist run then I'm not responsible for the effects on your sanity. And the post title was Mrs Bhagpuss's idea! So here you are - a bit early but who cares? Cat Power- Keep On Running. P.J. Masks - Ready. Set. Go! Here's wishing everyone a very merry midwinter festival, real or virtual, assuming anyone can tell the difference any more. Let's all take up a glass, mug or horn of whatever beverage happens to be at hand and drink a toast the season. Here's hoping 2018 brings us all everything we desire - or if that's too much to ask then at least a nice hat. * Toast, hat and good wishes not applicable to bots, be they Russian, Chinese, Ukrainian or, as bizarrely seems to be the recent trend, Canadian. The EQ2 wiki is surprisingly vague on Public Quests, something I only discovered when I was doing a little research for this post. I thought I'd better check a few facts before setting finger to keyboard because, even as I was framing an opening paragraph about the oldest PQs in Norrath, the ones in The Commonlands and Antonica, it occurred to me that I wasn't sure whether they really were the oldest. Didn't the PQs in Great Divide that arrived along with the Velious expansion pre-date them? As it turns out, yes they did. Public Quests arrived on Norrath as a highlighted feature of Destiny of Velious. So much for my memory. I do remember doing Echoes of The Ring War in Great Divide many times. Many, many times. Sometimes I'd run it several times in one day, particularly on a Sunday. It was fun and profitable. Also well-attended. Almost from the day they appeared Public Quests were a popular success. They added a new element to the game, something that felt rather like ad hoc raids. 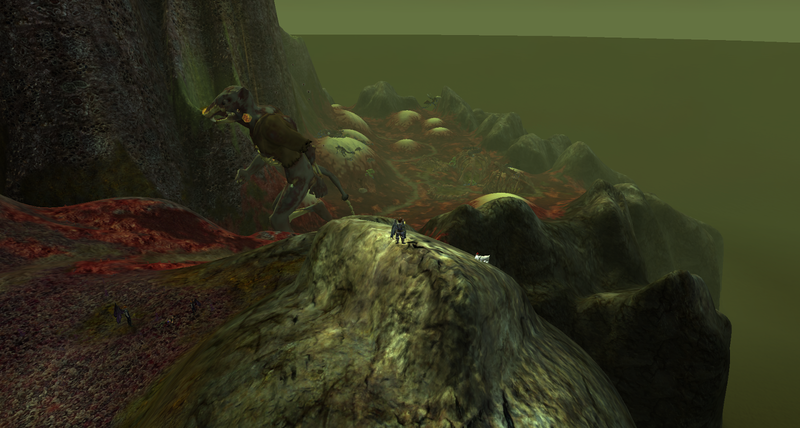 PQ's offered something different, something we hadn't seen before - or not in EQ2, at least. Bertoxxulous, taking the form of a giant, rotting ratman. He wanders around talking to himself and one-shotting people. Wouldn't you? Here, once again, I find my memory playing tricks on me. For this paragraph I first wrote "Newer MMOs like Warhammer Online and Rift had been making hay with this kind of all-pile-on semi-casual content for a while by the time the idea filtered down to Norrath" and then I wondered if they really had. So I checked . Wrong again! Although WAR, where Public Quests began, had been around for three years by the time EQ2 got its own version, Rift had yet to launch. 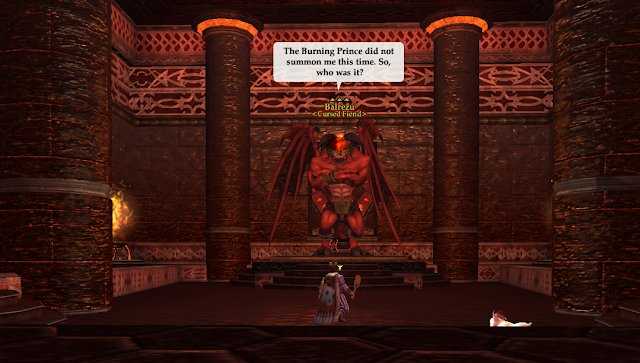 The first Public Quests in EQ2 opened for business in February 2011; Rift didn't officially go live until the following month. Despite having stolen a march on the competition, EQ2 remained diffident about its achievement. 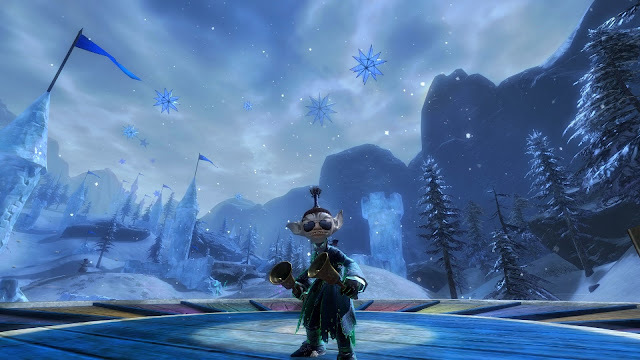 Where Rift and, eighteen months later, GW2 put their signature large-scale, hot-join events squarely front and center, both in the design of the games themselves and their marketing campaigns, PQs in EQ2 remained something of a supporting feature, at best. Nevertheless, development of the format continued. And continues to continue. I think every expansion since has had some kind of Public Quest attached and today I did my first PQ in Planes of Prophecy. I'm keen on Public Quests. I liked them in WAR, loved them in Rift. 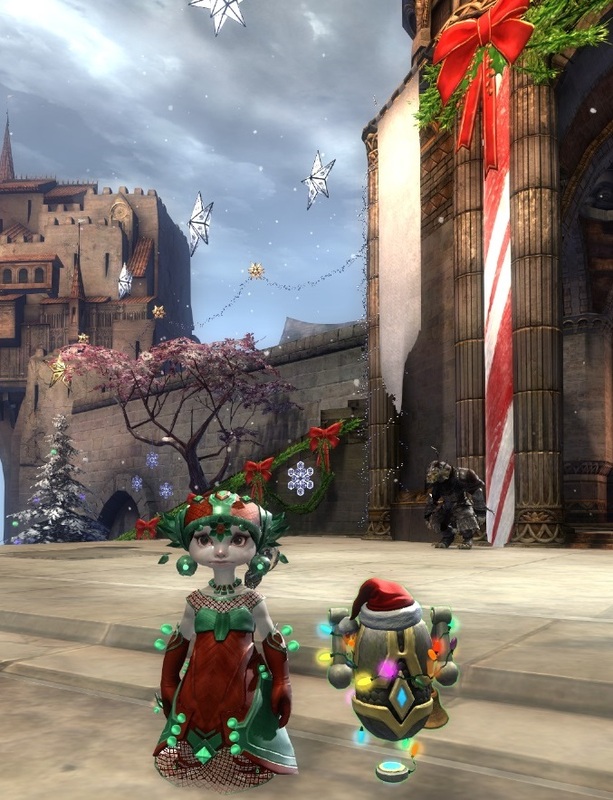 I've spent the last half-decade doing little else in GW2. My experience with PQs in EQ2, however, has been somewhat sporadic. As I said, I started out doing one of the Great Divide PQs with some frequency. The other GDPQ was less popular and less enjoyable. I did that one quite a few times but it was harder to find enough people who knew the mechanics and it often failed. In the intervening years I've done The Commonlands PQ maybe a dozen times or more but the Antonican one I may only have done twice. 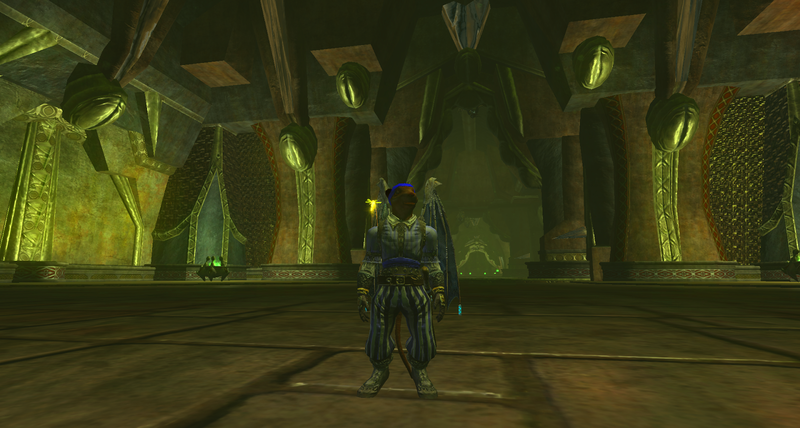 Coming up to date, during the last year I did all of the Kunark Ascending PQs multiple times each. Looking at the wiki page, though, I can see there are plenty more that I've never done at all. Most of them I didn't even know existed. In total there are nearly two dozen listed but that's clearly incomplete because neither Antonica nor Great Divide is included and nor are the various holiday-related PQs. I'm just going to stand here and watch this round, if that's okay with everyone. Some of the others I've never even heard of let alone seen and it's more than likely I never will. The idea that a full PUG raid will assemble in Lesser Feydark or Steamfont Mountains to do content from several years ago seems fanciful. 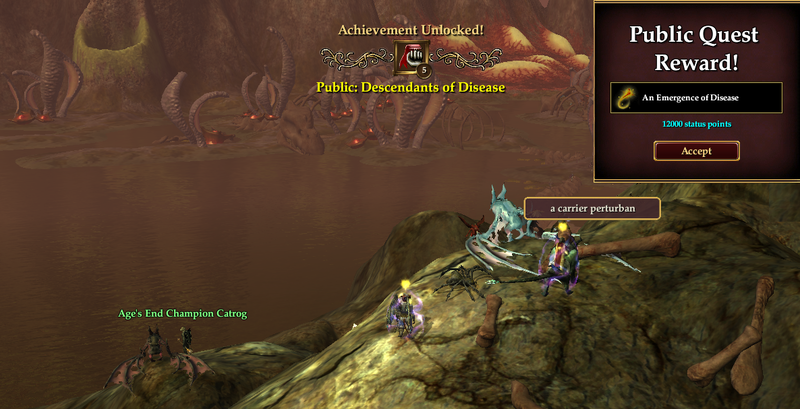 In EQ2 Public Quests seem destined to remain tied to current content. While the old PQs lie forgotten, the Kunark Ascending set have been consistently called in General chat for the whole of the active lifetime of that expansion, with multiple copies of the relevant zones spawning to accommodate demand. They're still being called, sporadically, even now, so someone's still doing them, at least for the time being. It's a long time since I heard anyone call a Terrors of Thalumbra PQ though and that's only looking two expansions back. Planes of Prophecy brings a big change to the system in that, for the first time, the new Public Quests take place in their own instances. They're "public" in the sense that anyone can join but no longer in the sense that you could run into one by accident while roaming the open world. The screen splatters are very clever and all but they do kind of draw attention to the fact that I'm looking at a screen. The reasons are two-fold. Firstly, recent expansions with reduced development resources don't have a wealth of wide-open, above-world areas where PQs could just happen. Space is limited and a huge event spawning raid mobs would be problematic. Kunark Ascending dealt with that by having one very localized PQ that was tied to the signature questline and several more in the thematically and geographically associated, but very much larger zones from the original Rise of Kunark expansion. That wasn't really an option for PoP - almost by definition all Planar zones, old and new, are instances anyway. The second reason is cheating. By their very nature, Public Quests allow for rewards to be obtained for minimal effort. They are large, sprawling , chaotic events for which no-one is required to group or raid. Although raids always form and everyone is always desperate to get an invite, anyone who participates gets credit. That's very fair for the soloists taking their chances but less so for the afkers sitting safely out of range, letting everyone else do the work. Er, I mean, "Phew! That was a close one! And just look at all this ichor on my armor. I'll never get the stains out!" DBG tried some preventive measures in previous PQs. They made the reward chest spawn at random locations, well clear of the battle and they even added a massive knockback to the end of the event that threw everyone into the air. People still found ways to get the goodies without making much of an effort. With the new PQs you don't only have to click on a portal in Colosseum of Valor to get in. 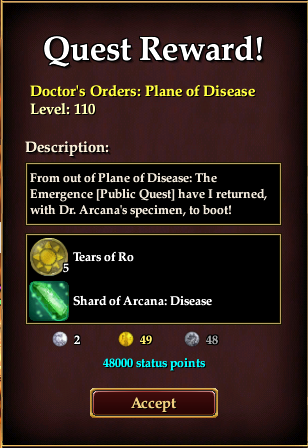 You also have to go back to CoV and hand in a token to the wonderfully named Dr. Arcana, an NPC who looks as though he's walked straight out of a 1930s Saturday Morning Pictures serial. Still, none of that means you have to know what you're doing or indeed have to do anything particularly effective, as I discovered in my first run today. I happened to see the PQ was up as I was passing the Plane of Disease alcove, so I zoned in out of curiosity. Once inside, I couldn't see anything happening so I just followed the first person who ran by. I ended up with a bunch of people at a lake. Someone invited me to join a raid so I did. I said hello and announced that I hadn't done it before. I asked for anyone to let me know if I was doing something wrong, whereupon some wit observed that it wouldn't matter if I was because all I'd need to do would be blame the healer like everyone else. Someone offered a more useful thumbnail of what to do - pull the mobs and kill them under the seeds. I waited. The PQ began. Someone pulled mobs. I helped kill them under the seeds. After a while of that I noticed there weren't many of us left. Everyone had gone somewhere else. So I went too. Then I cam back because I couldn't find them. Someone ran past me and jumped on a rideable bat so I got on one too. It flew me around for what seemed like quite a long time then, just as it landed and while I was still figuring out what to do next, the PQ ended. Apparently we'd killed the two Queens of Disease. I never even saw them. All the same, I got full credit and my proof of participation item, so I zoned back to the Colosseum and handed it in for my reward. About par for the course on a new PQ. It usually takes a few goes to figure out what's going on, then a few more to figure out what you're supposed to do about it. Then there's a few runs where it's all very exciting as you feel like you're really getting the hang of things, followed by a stretch when it starts to feel like just another day at the office. All in all, though, I think Public Quests are a Jolly Good Thing in any MMORPG. They may have been Warhammer's only lasting contribution to the genre but it was a good one. Not many developers have come up with anything as successful or as fundamental since then, so thanks for that, Mark Jacobs or Paul Barnett or whoever thought of the idea in the first place. 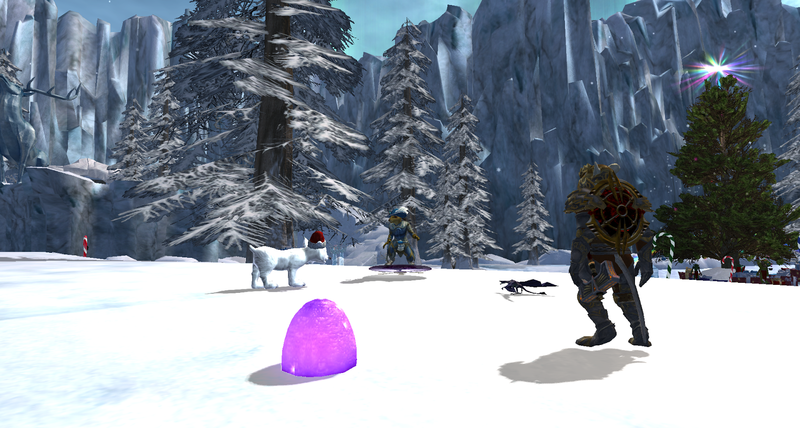 Meanwhile, EQ2's PQs may not be the most sophisticated around but they're pretty darn fun. I'm going to keep on doing them whenever I get the chance. With a bit of luck and plenty of patience, one day I may even find out what I'm supposed to be doing! We're getting towards that time of year when awards get handed out and everyone talks about what they liked or didn't like over the last twelve months. I'm not going to do that. Frankly, its a lot of work and I don't have the time or the energy. If Awards season rolled around at the end of the financial year, then maybe we could talk. I'll be sitting around doing not very much at all by then - with any luck. What I am going to say is this: as of the end of 2017, my favorite MMORPG is EverQuest 2. What's more, I think that as things stand right now EQ2 is my favorite MMORPG of all time. My top three MMORPGs haven't changed in forever. Well, technically not since 2007, when Vanguard: Saga of Heroes launched. The three games in question are, of course, EverQuest, EverQuest 2 and Vanguard. A very strong argument could be made that my favorite MMORPG is, in fact, just the one game. I like what I like, there's no getting around it. Over the years the order of the top three has changed a few times. EQ has the prior claim, the history and the gravitas. Vanguard has the grandeur and the bittersweet feels. EQ2, though...EQ2 has everything. It's not just the sweeping scale. Most MMOs that survive have that. They have to. It's grow or die. Neither is it just the depth, the variety, the breadth: the sheer, insurmountable volume of content that's beyond overwhelming by now. There's so much to do the only way a new player can hope to cope is to take the free boost to 100 and pretend the tip of the iceberg they see at end-game is the entire world. No, what clinches it for me is the character that shines from every surface. The graphics may be aging, the visual aesthetic may be uncertain but this is a place that's a true place from end to end. 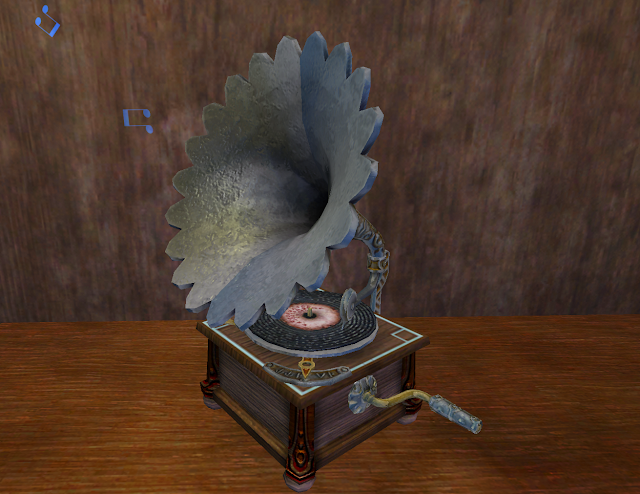 Proud to be a two-gnomophone household. And, what's more important, it's a friendly, welcoming place. No matter how dire the situation, how pressing the need, how near the end times, NPCs tend to speak in full, measured sentences, to address you by your given name and note your concerns. Freeport may be a den of thieves ruled by a tyrant, Neriak a dark, forbidding underworld, but everyone somehow finds time to chat and life goes brightly on, hourly executions notwithstanding. Everywhere you travel you'll likely be working with boffins or brainiacs lost in the labyrinthine complexities of their genius, or with ancient masters who somehow find time to discuss the mysteries of the universe with you as an equal. There's none of that nonsense about making you the center of the story - you just are and it feels completely natural because the entire game has worked forever to make that make sense. Norrath is a world surprisingly filled with whimsy, particularly given the privations of the Cataclysm and the Shattering, not to mention the ever-present threat of imminent destruction from Dragons and Demi-Gods. There's a festival around every corner and a holiday bound to be coming along right after. 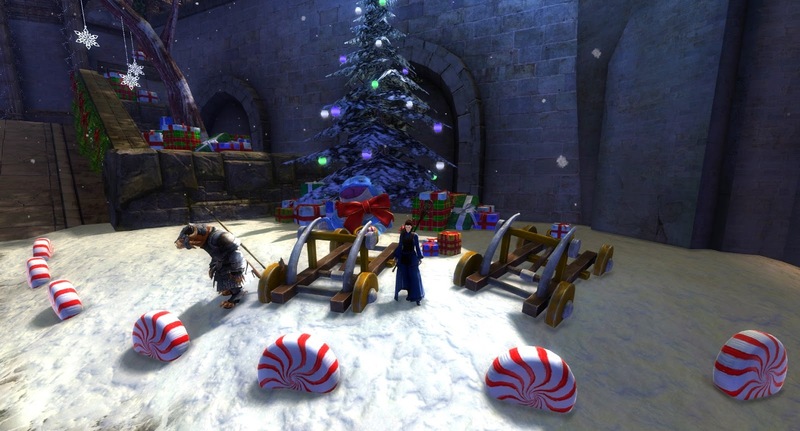 I know I'm not alone in finding Frostfell the most engaging of the MMO winter festivals but really it's just the frosting on EQ2's festival cake. And this year we get kittens! Kittens wearing hats! Norrath is packed right now. The expansion is popular and so is Frostfell. People who play are playing and people who haven't played for a while are dropping by to see what they might be missing. After my Warlock picked up his kitten I tried to get a screenshot. I kept getting photobombed by passing players but when I found some white space it occurred to me that I'm never really alone in Norrath, not even when I'm the only player in the zone. There's the Warlock, standing in a ring. Going clockwise there's his old, class-based familiar (some kind of tiny drake), good old Stamper Jeralf (the original ratonga healer Mercenary), a Wicked Gumdrop (vanity pet courtesy of Santa Glug) and the new Frostfell Merry Kitten (new-style Familiar, with stat boosts). Being a ratonga and therefore something of a techie, the Warlock likes to ride a hover disc. Otherwise you could add some kind of riding animal to the party. And naturally if I'd chosen to take the screenshot with my Necro or my Beastlord there'd have been a combat pet or two somewhere in the mix. I liked to sleep al fresco on these balmy desert nights. Plenty of room for a kitten or two on the cushions. 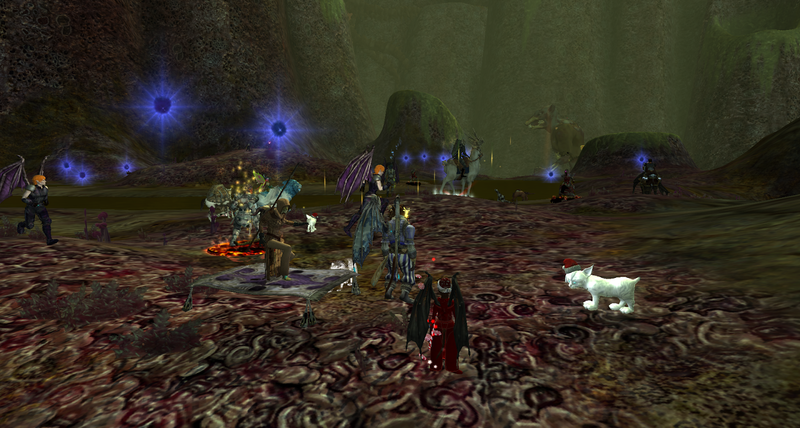 When a solo player swings past in EQ2 it often looks like a full party going by - or maybe a small raid getting started. I love that. I also love that my Berserker's Maj'Dul mansion, once so huge I wondered how I'd ever furnish it, is now so full of keepsakes, curios and house-pets it looks like a cross between the British Museum storerooms and the Dearly household at the end of 101 Dalmatians. Meandering through the latest, excellent expansion my Berserker is closing in on the new level cap of 110. With just half a level to go he's finished up the first four Planes on offer - Magic, Innovation, Disease and Storms. Just Sol Ro's Tower left to do although judging from the walkthrough that could take a while. Everything in this expansion is huge. I guess this guy at least has the excuse of being an actual giant. I haven't needed to touch two of the three factions for experience. I'm leaving those to give a little variety for whoever makes the run to 110 next. 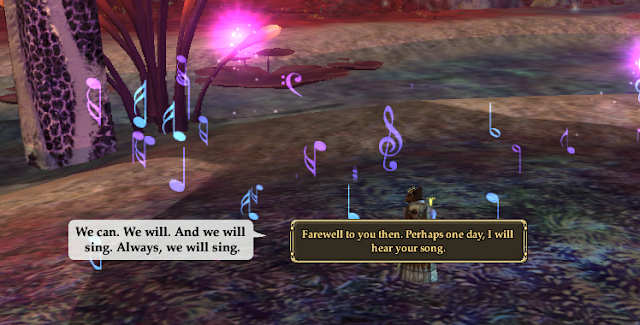 I did do the separate, standalone sequence of music-based quests though. That was...odd. And fun. And incomprehensible. And occasionally emotionally affecting. I haven't touched the crafting levels yet. Plenty of crafters have ground their way to cap on writs but I'm content to wait for the New Year and the promised tradeskill questline. I'm quite glad it wasn't ready for inclusion in the expansion itself - I wouldn't have had time to do both that and the adventure line before Christmas anyway. 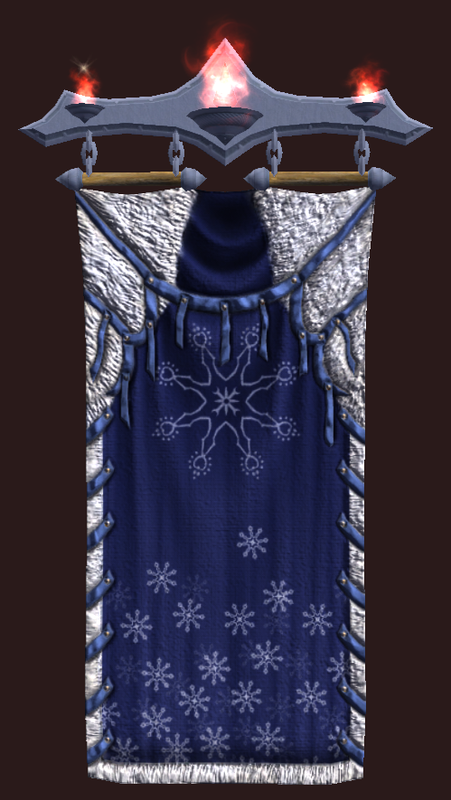 Crafting is another jewel in EQ2's crown, of course. By now it surely must be the most complete, full-featured tradeskill offer in MMOs. Is there anything even close? 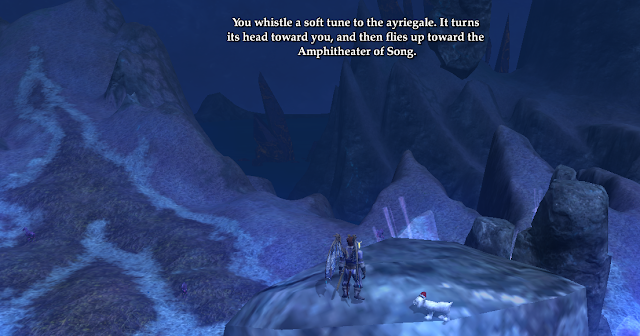 But then, in EQ2, even gathering gets its own series of multi-part questlines. I can't think of any MMO that so richly rewards just wandering about picking things up off the floor. Yes, they all do it to some degree, or many of them, but not with such vigor and vim. Shiny hunting alone could keep a player occupied for months. The older EQ2 becomes, the richer the experience gets, which is definitely not something I'd say about GW2, which was bizarrely - and entirely inappropriately in my opinion - voted Most Improved MMO by Massively OP this week. Improved, sure - if by "improved" you mean "moved ever-closer to becoming exactly the kind of game it set out to replace", I guess. Wilhelm was looking back at the list of upcoming MMOs of interest he made at the beginning of the year, observing how far we still are from being able to play any of them for real. I have decided I don't care any more. I'm not in the market for novelty right now. A title might have been nice. Bird-whistler, maybe? What I want is more of the same. Planes of Prophecy is more of the same and it feels really good. But then, of course, I also remember how I was feeling six years ago, when GW2 was still not quite in open beta and I was playing EQ2 every day and had been for years. I felt enervated, exhausted, ready for something new. Right now the polarities are reversed but that could always change. In this hobby its usually when you feel the most comfortable that you need to start worrying. Oh well. If nothing else, at least I got a kitten. 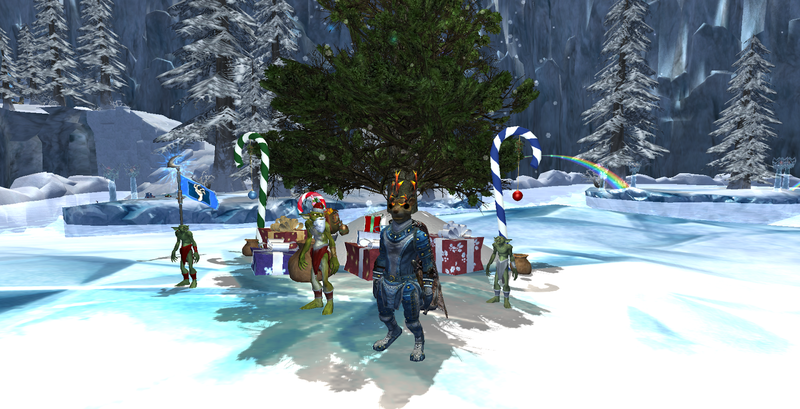 Frostfell arrived in Norrath a week ago. I have eight or nine characters parked next to Santa Glug waiting to collect their daily present . It's such a tradition now. Christmas wouldn't be Christmas without Frostfell. Even writing a post about it is becoming a tradition in itself. As Kaozz says, EQ2's midwinter holiday is one of the best in a very competitive field. It was also one of the first. I remember when the Frostfell Wonderland Village first appeared, way back in 2006. The Frostfell event itself began the year before but I don't remember much about that. The following year, though, I recall vividly. By then, Mrs Bhagpuss and I were playing full-time on the Test server so we got to see the whole thing come to life in fits and starts. I remember the immense excitement that blew up around the very idea of an entire instanced zone dedicated to a holiday event. Test was innundated with new characters coming to see what was going on and back then there was none of the automated creation of extra instances to handle population overload. The zone was crowded and laggy and there was huge competition over the crafting nodes. It was crazy, chaotic and everything MMORPGs should be. One of the many oddities of playing Test was the length of time holidays hung around. Because SOE, like DBG after them, have always been so diligent in adding new content for every holiday they can't just flip a switch on the day. The whole thing needs to go before the dedicated community of volunteer testers ahead of time to bash the bugs out of it. Test's "Christmas" usually started in November and ran into January. With something like six or even eight weeks of Frostfell every year I was sometimes glad to see the back of it. Even now, with it lasting over a month on Live, I feel we're occasionally in danger of having too much of a good thing, but I'm always excited when the wardrobe appears. 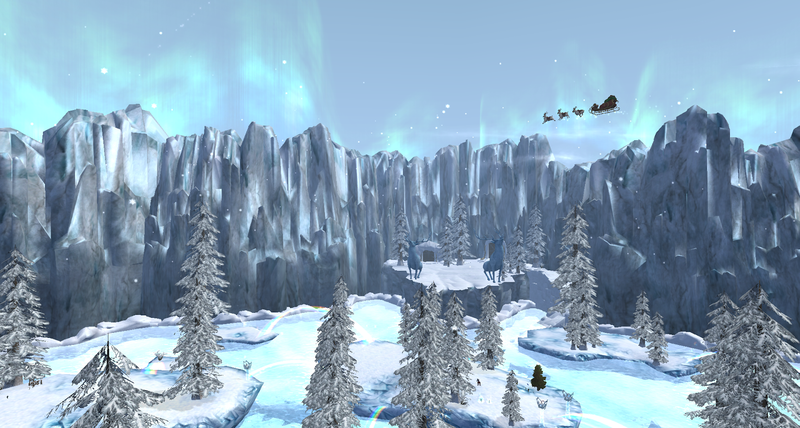 Frostfell got a major makeover in 2008 and another in 2013. After a dozen years of iteration there's a mind-boggling amount of things to do and I've done them all. Most of them several times. There's a new quest for 2017. It takes place in in Plane of Magic, meaning you need to have both a level 100 character and the new expansion, which might be the first time that's happened. I hardly think anyone without the wherewithal could complain, especially since the quest is an add-on to the wonderfully-named existing questline "A Gigglegibber's Work Is Never Done (By A Gigglegibber)", which offers the same rewards from lower level zones. Last year I made quite a run at the Icy Keep instance (one holiday instance at a time is nowhere near enough for EQ2 - I think Frostfell has at least five, maybe more) so I was going to skip it this year. Then I found out we're getting kittens! I already have a pet kitten of course but this one's different, not just a cute vanity pet but a full-feature Familiar, with all the stats and gameplay benefits of EQ2's latest must-have accessory. 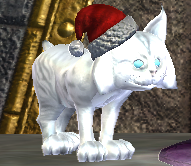 If nothing changes between Test and Live, the Frostfell Merry Kitten, when it arrives, will cost fifty Frozen Tokens Of E'Ci. My Berserker has 96 tokens in his wallet from last year so he's covered but almost everything in Norrath is character not account-based so if anyone else wants a kitten they're going to have to do the hard miles around the good old Icy Keep themselves. I'm kinda looking forward to it. But the good times are far from over. EQ2 is really buzzing at the moment. 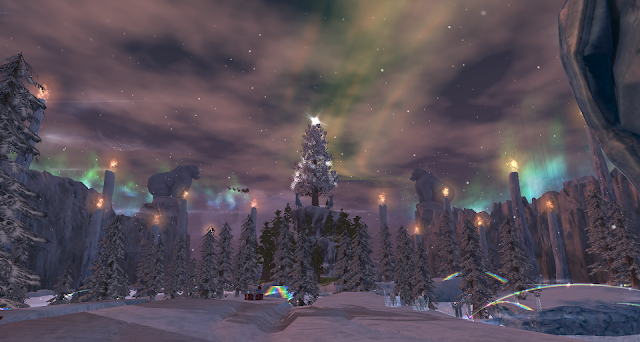 There were nine instances of Plane of Magic up on the Skyfire server on Sunday afternoon and three Frostfell Villages last night. Everywhere I go I see people, at the banks and brokers, at the Wizard spires, and, of course, clustered around the badly-bearded goblin that hands out the gifties. It's great to see the old place feeling so alive. 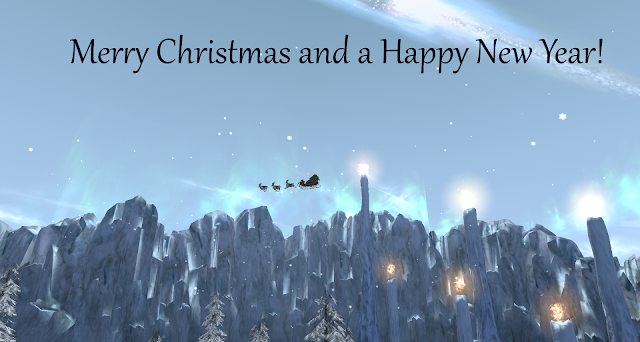 A Merry Frostfell and a Happy New Year to all! Pushing on into the Plane of Disease last night, it occured to me how exceptionally reflexive MMORPG gameplay has become. In 1999, as I peered at the dim shapes in the small window at the center of my 15" CRT monitor, shapes that were supposed to be bats but which looked more like kites flapping in a strong wind, I could hardly have been expected to imagine that two decades later I'd still be there, still in that same imaginary world, still killing bats. The bats look a lot more batlike these days and I can see them much more clearly but they are, nonetheless, bats. Not precisely the same bats, it's true, but one imaginary bat looks much like another, twenty years of technological progress notwithstanding. Rallius Rattican, protected by bats. Overprotected, I'd say. The unchanging wildlife, the immortal parade of bears, bats, rats and boars, that's the least of it. More, it's the places and the characters, a litany of familiar names. 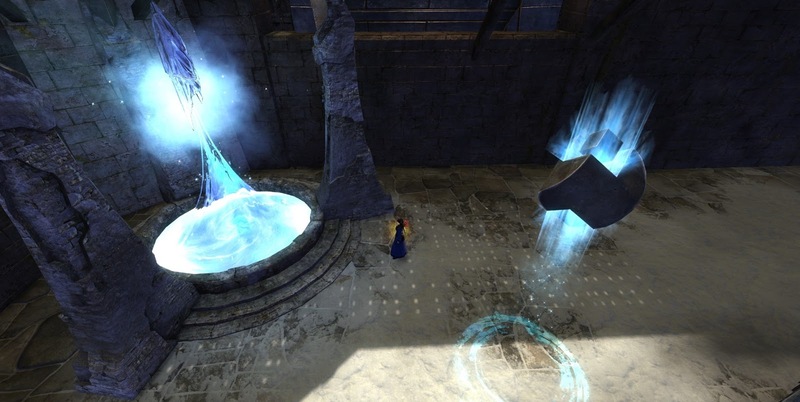 One of the most striking features of both EQ2's Planes of Prophecy expansion and GW2's Path of Fire is the way every opportunity has been taken to remind us of the past. There's the nostalgia card being played, of course. As the MMO genre ages, increasingly developers have come to understand just what a strong suit that is. But it's more than that. These worlds have history. Gryme. He still holds the key. Tyria may have seen two hundred summers and Norrath half a millennium but time works diferently there and so does death. The dead rise and walk again and the lifespan of a lich or a vampire or a god isn't measured in years but in centuries or millennia or eons. Even without the supernatural the scant few hundred years across iterations wouldn't be enough to erode all evidence of the old regime. The rise and fall of empires leaves behind a residue of history, statues and cities that even cataclysms cannot entirely obscure. Everywhere you turn you see a face, a shape, a suggestion of the past. Cubes. Seen one, killed them all. There's all that and there's so much more. 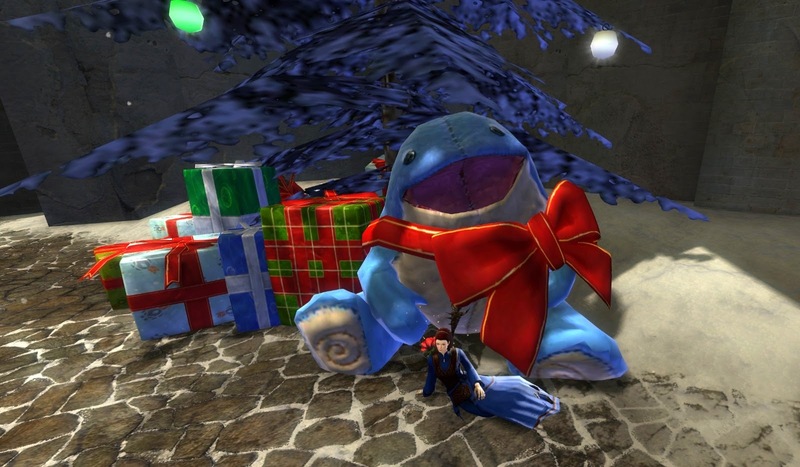 For weeks I've been hearing veterans of the first Guild Wars reminisce not only about the stories they were told but the legends that they made. It's an alienating experience, like hearing tales of a homeland that was never yours. Well, now I'm getting that feeling all of my own. It's not just that I know the names, nor that I remember the landscapes. I was there. And more than that, I was there not just in one other life but many. Puslings. Still the same annoying little snots they always were. MMORPGs, if they last, all become palimpsests, their own iterations overwritten endlessly, but there are layers on layers. From every era memories accrue, lying one atop another. 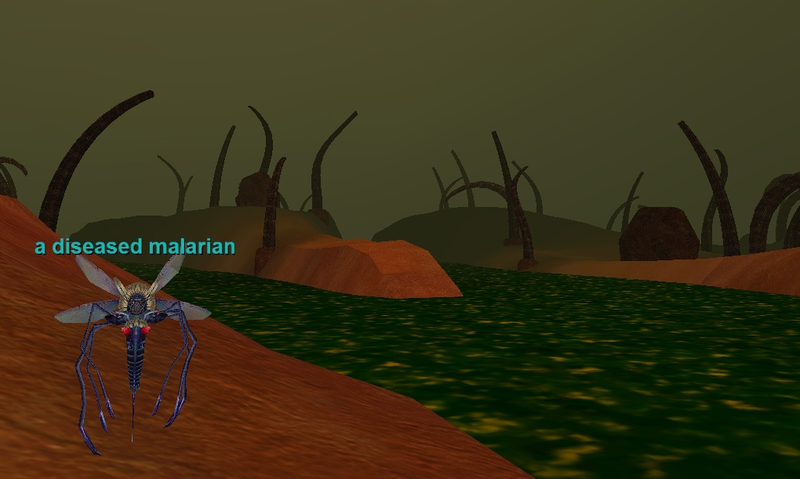 When Planes of Power was new I spent evening after evening edging along the polluted dunes with five nervous friends, barely able to kill a fly - literally, since Malarian mosquitoes were about all we could handle. As the expansion aged and we grew in confidence we roamed more widely until we opened the doors of the Crypt of Decay. Then we died. 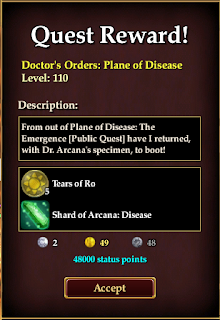 The original Plane of Disease, courtesy of Allakhazam. But we came back and eventually we tamed the zone and made it ours. Some of it. A room at a time. A couple of years later, on a different server, the Planes became a playground. With levels and the welcome accumulation of power that both blesses and curses MMOs, Crypt of Decay turned into "that zone that drops all the gems", the place Mrs Bhagpuss and I duoed when we needed some quick cash. The new version, unmistakeably the same place. Only with added horse-goats..
A while later there was only me. Me and my mercenary. Me and my mercenary and my pets, a lone player and a clutch of silent, obedient allies, roaming fearlessly where once a full group cowered and quaked. I had good times alone. I have such history here. Not just in this plane or this zone but across the world, these worlds. Worlds whose metafictional existence has become so fractionated, so crystalline that every shock splits a shard that reflects the whole. Crypt of Decay. Now it gets tricky. The two MMORPGs I play the most right now are each the second generation that's neither a copy nor a continuation. The new exists in tandem with the old, each refelcting the other into infinity. I can see all of those refelctions at once and behind them all the ghosts of what they were and who I was and what we may become. It's something rich and strange. It's oddly like life.